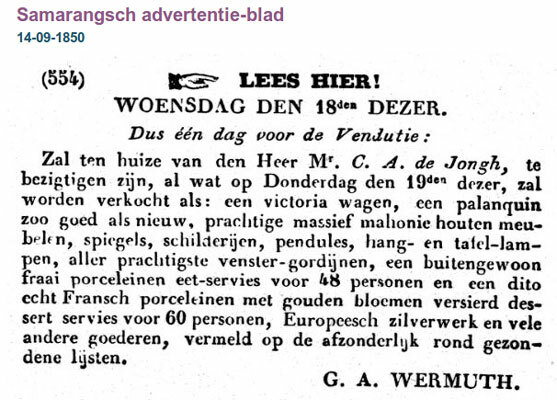 Explanation: Letter written in French dated the 19th of september 1850 from the Duke Charles Bernhard von Saksen [Saxen] Weimar-Eisennacht to Coenraad Alexander de Jongh President of the juridical court of Samarang. At the time De Jongh is in the process of moving to a new post in Batavia. 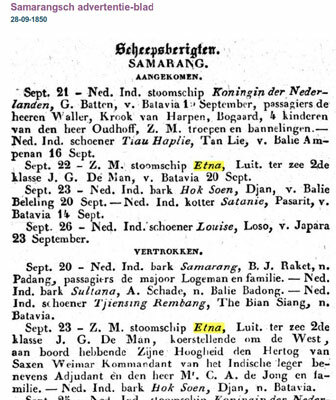 The Duke has been on inspection tour during which he has fallen ill and has also been injured, reason to return to Batavia by (Marine) steam boat Etna from Samarang to Batavia. He invites De jongh with his family to join him..
Resident = Representative of the governor general, head of the local government. jet de Samarang à Batavia dans une société bien agréable.